Securely closes a wide variety of box and carton materials, including corrugated fiberboard. The moisture-resistant polypropylene backing resists abrasion, chemicals, and scuffing to hold strong throughout the shipping process. 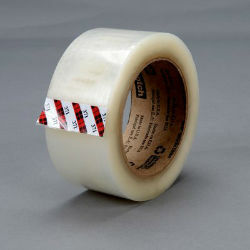 It easily conforms around edges and on rough surfaces to provide a lasting hold.